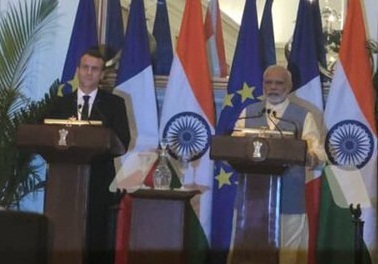 India and France have agreed on deepening their strategic partnership through cooperation in the Indo-Pacific, civil nuclear, defence and security, space, trade and economic sectors. 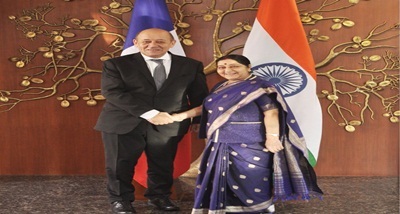 The agreement was reached during talks between External Affairs Minister Sushma Swaraj and French Minister for Europe and Foreign Affairs Jean-Yves Le Drian in New Delhi today. In a joint press briefing after the delegation-level talks, Ms Swaraj said, India and France have agreed to fight terrorism jointly. She also thanked France for supporting India's bid for a membership of Nuclear Suppliers Group and United Nations Security Council.